As I was editing my pictures for this post I had a little ahhhhh moment! 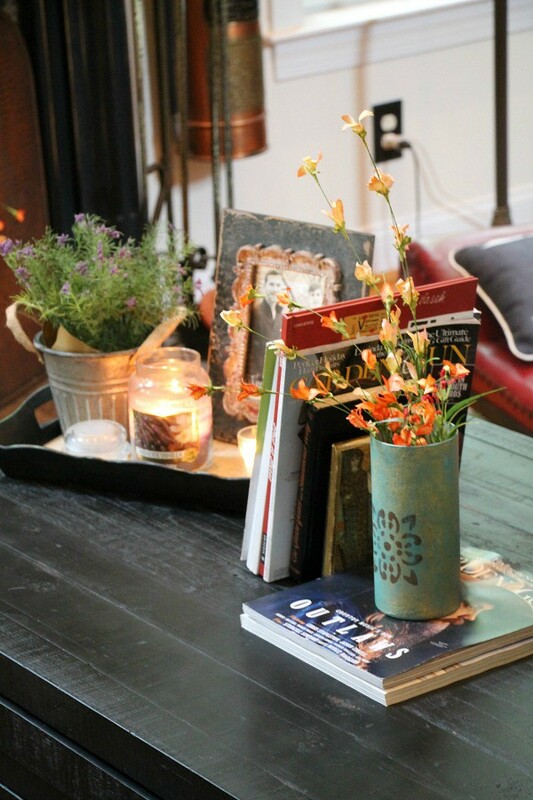 I was looking around at my own pictures and thinking our style in decorating just isn’t typical nor predictable. I am not saying that is a good thing, nor a bad thing. What I mean is, you can see someones taste, that is let’s say modern, farmhouse, shabby chic etc. You pretty much know exactly what should be in the room decor wise, or where it should be placed according to the “experts” in design. My husband and I just don’t follow the rules to any of that. I am pretty much the layer and texture queen and Mike is the give me something that has a story, a meaning, or some sort of significance to it. We have collected our finds for years now. Most have been hunted and gathered together. Most of the time Mike spots them first. He has perfect vision, in fact just had an eye exam and at 51 still not in need of glasses or readers. I and the idea of placement, or just the idea girl in general. Then of course, I always come in and add my little crafts and feminine touches and such to the room and make it uniquely a part of us both. 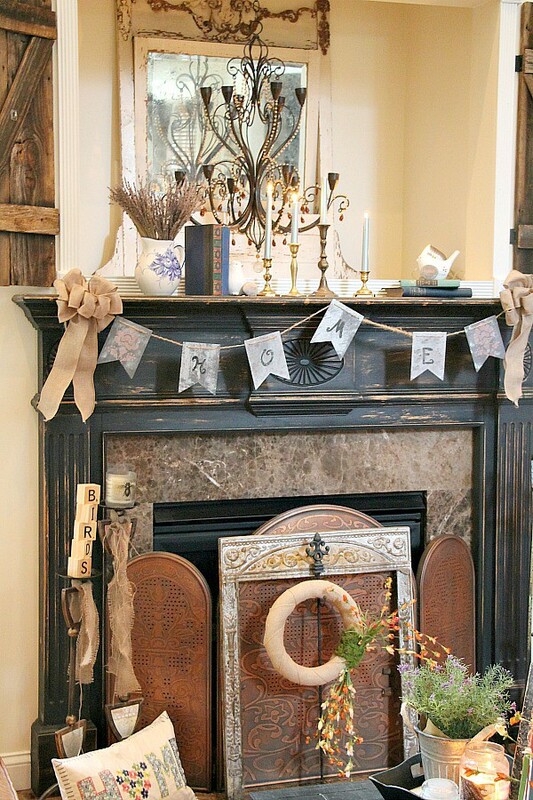 Today, I am sharing a diy mantel banner with concrete paint. Let’s take this piece for an example. The rusty silver iron piece that I really have no clue what it is. 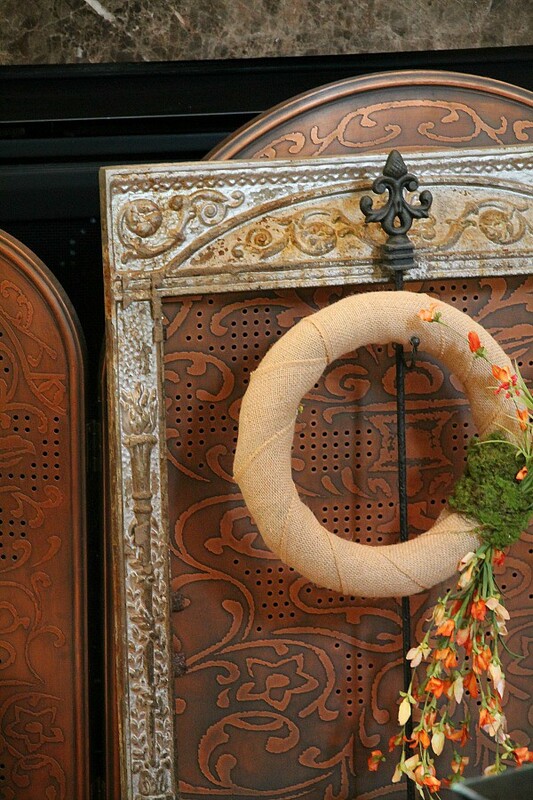 Sort of looks like a picture frame, or perhaps an old mantel trim. I really don’t know. I do know I loved it and wanted it. It was about $40.00 which didn’t seem too bad for a piece of iron that is super heavy and cool looking. I decided to layer it around the existing copper fireplace screen and then of course place my diy burlap wildflower wreath along with it. 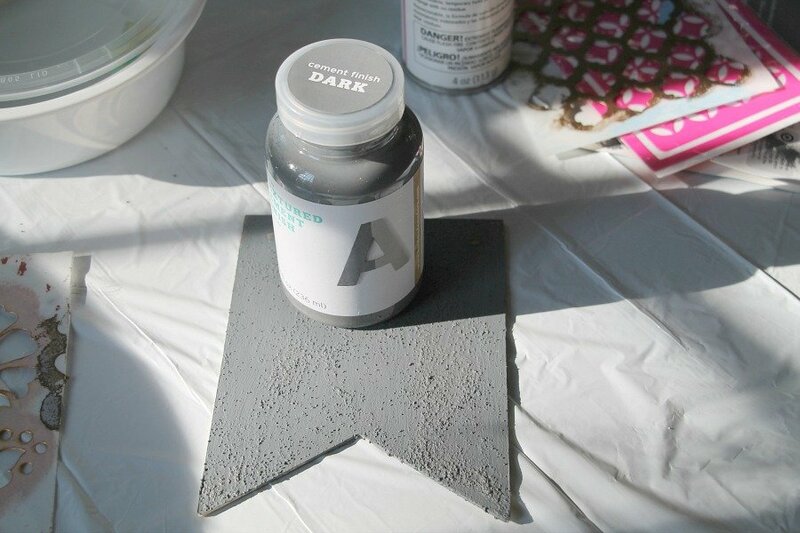 When I stumbled across the dark cement finish paint at Target I thought in my head that may coordinate nicely with the fireplace and I could make a cute banner for Summer. 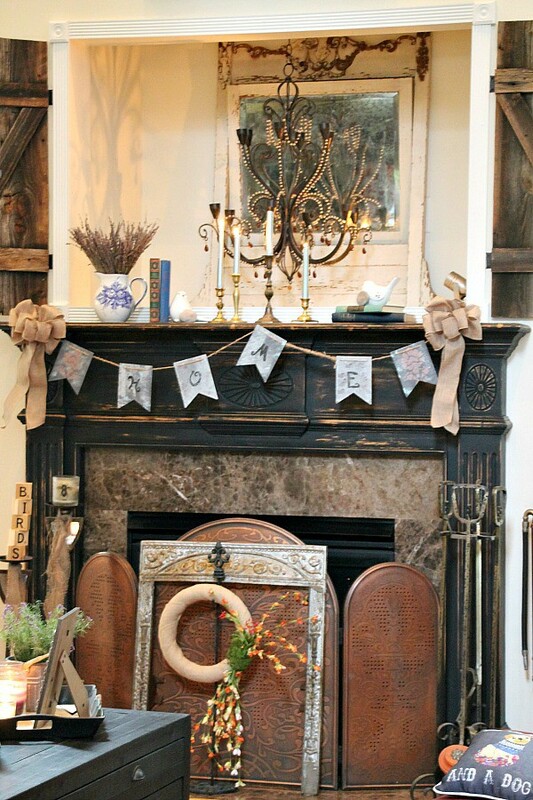 I can only tolerate a mantel theme for about two three months time and then I am over it. So changing it up on a budget is definitely my scene. Here is the Spring mantel just in case you missed it. Now the predictable aspect would be to simply paint it, stencil it, and swag it as per the normal way people do it. Again, nothing wrong with that…but it is predictable. That wasn’t in my head. I did in fact, paint it, stencil it, and then added two more layers of color to it. 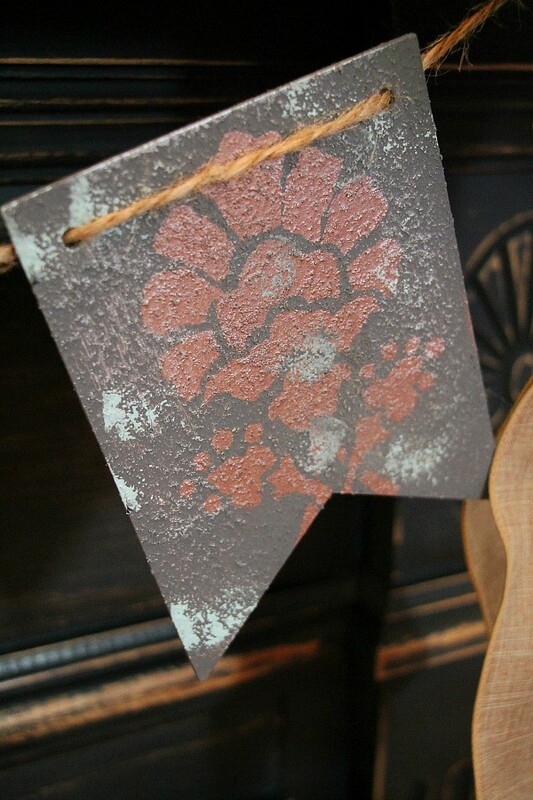 I had a pearl white color craft paint, a pretty blue color and the rose color paint I bought the same day I did the cement paint. 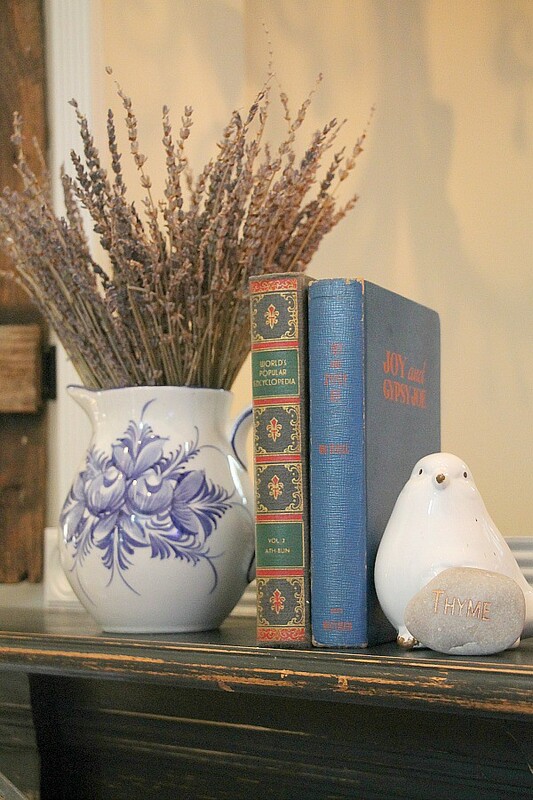 A little dab here and there and everywhere to add to the rustic and perhaps a little whimsy appeal that I like. 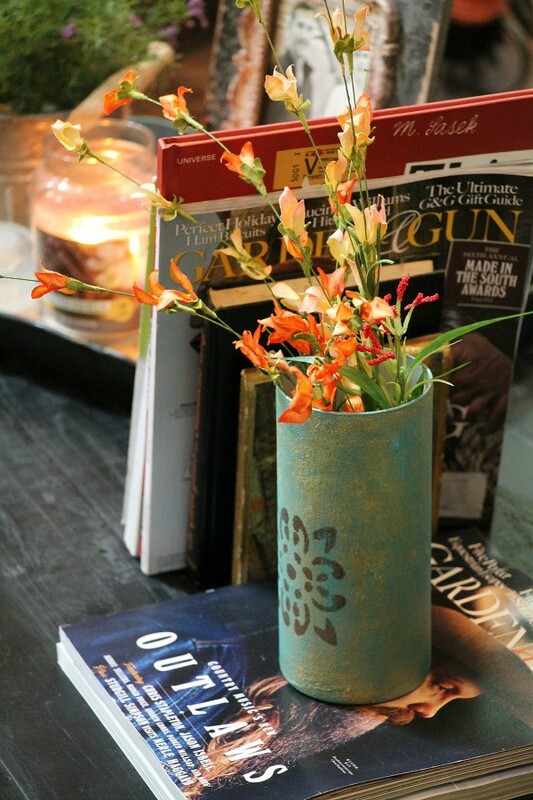 Sort of like I did this vase here with gesso and craft paint. Layers of texture and color. “Home wasn’t built in a day”, and I don’t think anyone is ever officially done in their homes. We always have something to do, maintain, build, create, decorate, etc. Our lives are not predictable, hence, why should decorating be predictable? Isn’t that somewhat of a boring concept? I just don’t see why to live this one life given, being bored. Shake it up a bit, and have a little fun. It’s US..it’s what we like, what we enjoy and what makes us smile. It may not resonate with everyone, but again, if it did, it’s predictable. Dare to be different y’all! Everyone else is taken. 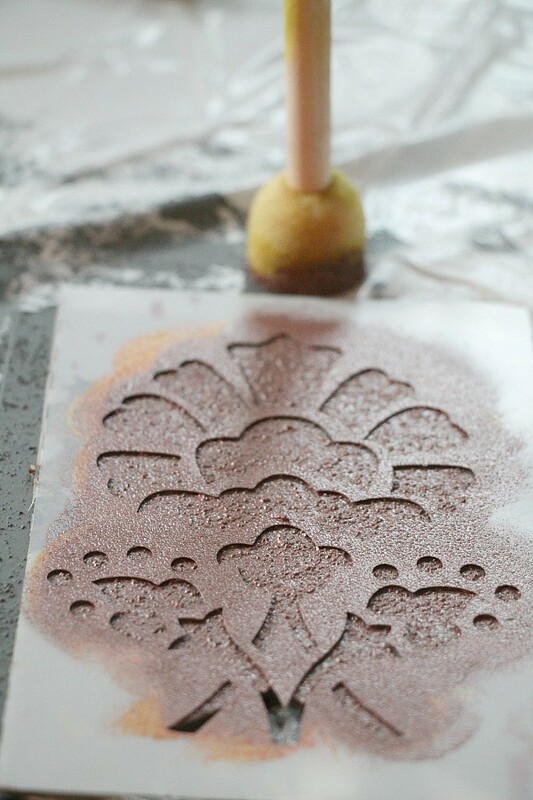 Want to learn to stencil? You can watch that video too while you are here. Someday I may get a little more professional with my videos, but for now, you get the gist, and pretty good one. Anyhow, professional videos would also be predictable HAHAHAHAHA! !~ But I may have to get there someday and be a real grown up teacher, teaching you my crafting ways. Love your style and individuality, Debbie. 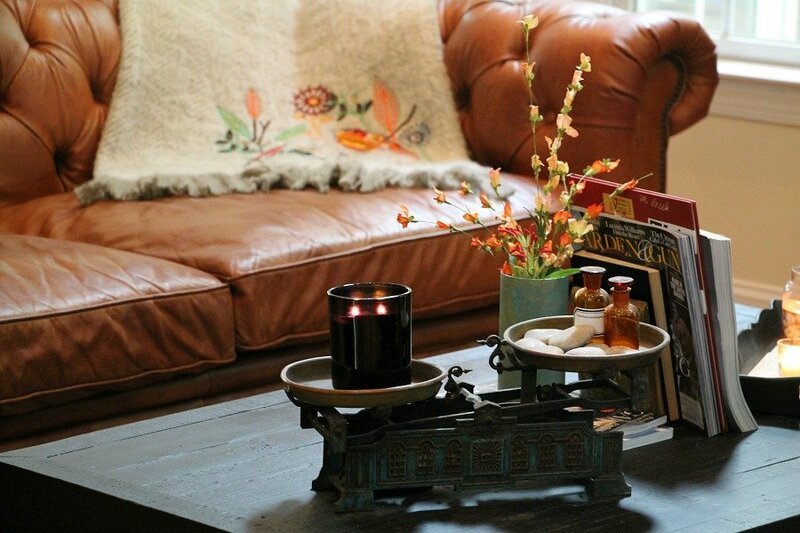 It’s my thought that layering and adding texture is what makes any home perfect! And yours is perfect! I love the blue and white pitcher!! Your banner is so cute, Debbie. 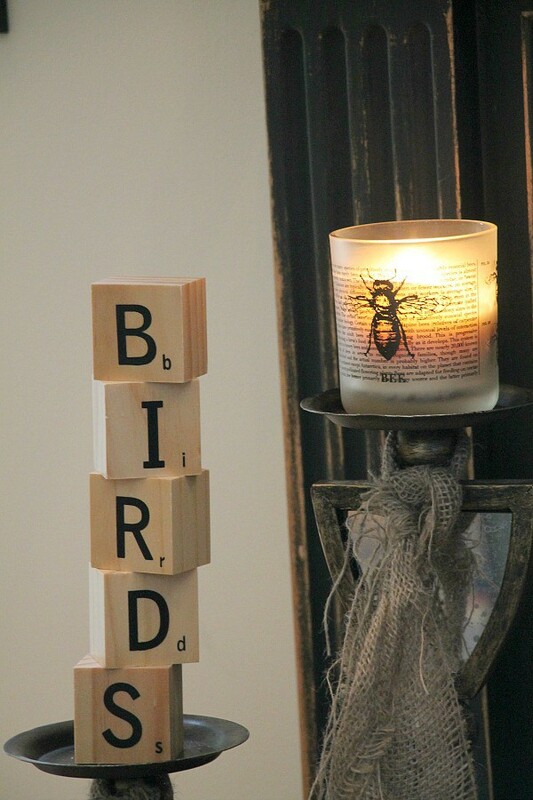 I also like your BIRDS blocks. Did you make those? I don’t know if you are aware, but sometimes your site doesn’t allow comments to be posted. I had to try several times before I could do it. I have to moderate the comments Doris before they go through on the site. I have never been told of that trouble so I will be on alert. The blocks came from Michaels. 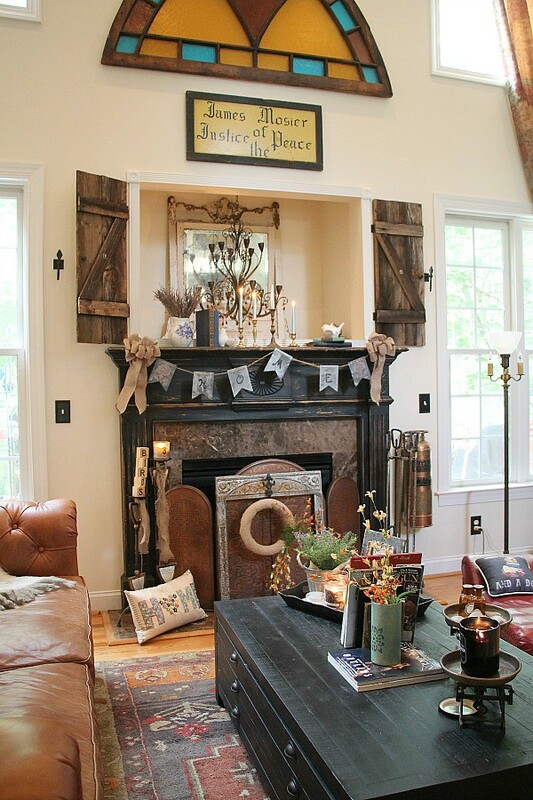 Where did you find that fantastic fireplace screen? I love your blog. Always so many good ideas. Keep it up! Julie, I get asked that often. My husband and I found it in a catalog years ago. I think it was homedecorators, but I really can’t remember that is why I never mention it. Google copper fireplace screens and maybe something will come up. I love your STUFF and your blog of fun, neat, doable (don’t think that’s a word) projects you show us other un-predictable people.